Whether you call it dinero or dough, the fintech funding does flow! This latest round-up features Revolut, Constellation Digital Partners, Paytm, Mobiquest Mobile Technologies and Wesleyan Bank. Following on from the $66 million raised in a Series B round, UK-based payments start-up Revolut is looking for an additional £4 million in exchange for shares in its firm. To big itself up, Revolut says it has over 730,000 customers across Europe who have collectively transacted over $3.2 billion. In July 2016, its £1 million crowdfunding campaign was oversubscribed by over 10,000 would-be-investors who pledged to invest £17 million. It is aiming for 50 million customers globally in three years. Its pre-registration page is now live on its site. Over in the US, Constellation Digital Partners has secured a new Class A $3 million investment from Teachers Credit Union, based in South Bend, Indiana. This marks the largest individual credit union investor to date, by assets, in its software platform. 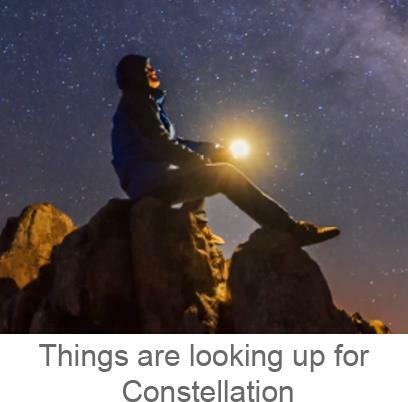 As reported in May, North Carolina-based Coastal Federal Credit Union and eight partners unveiled Constellation – an organisation offering the “first and only” suite of digital financial services dedicated solely to credit unions. India’s Paytm has invested an undisclosed sum in Mobiquest Mobile Technologies, a Noida-based start-up in the mobile loyalty and data analytics space. Mobiquest says its m’loyal platform offers over 200 brands and has over 80 million consumers. With the deal, Paytm’s partnered merchant network will use Mobiquest’s tech to “acquire, engage and reward” its customers. Back to the UK, and Wesleyan Bank has launched a new asset finance funding initiative as it looks to tap into the SME market. The commercial finance provider, which says it has doubled its net lending to UK SMEs and professions since 2015, has pledged to make an additional £50 million of funding available to businesses who are “specifically seeking finance for asset-related purchases”. Its new initiative will run until 31 December 2017 and UK SMEs from any industry sector are eligible to apply for funding.